Have a rummage around in my virtual loft! If there's something in there that is of interest to you, email me and we will see if we can get it to you. I live near Plymouth, England, so if you are local then all the better. 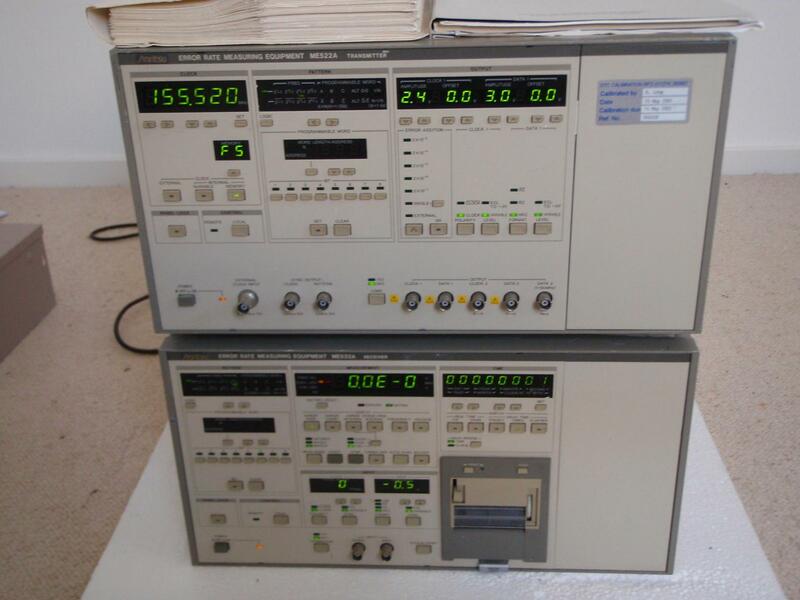 There is also some real test equipment available for a short time, but when this has gone there will be no more. Newport motion controller cards to suit MM4005/MM4006 controllers E1274A (option 7D) for 850F, 850G, 850GV6 stages. 8 off. E750A (option 11/12) UE32/41PP. 1 off. E2398A (option 12) UE32/41PP (narrow). 1 off. E964A (option 1A/1B/1D/1F/1G) UE63/73PP. 4 off plus 1 for spares. All removed from production equipment, all believed working. Offers invited on any or preferably all of these cards. Do not have MM4005/MM4006 nor stages at this time. Picture of all cards is here. 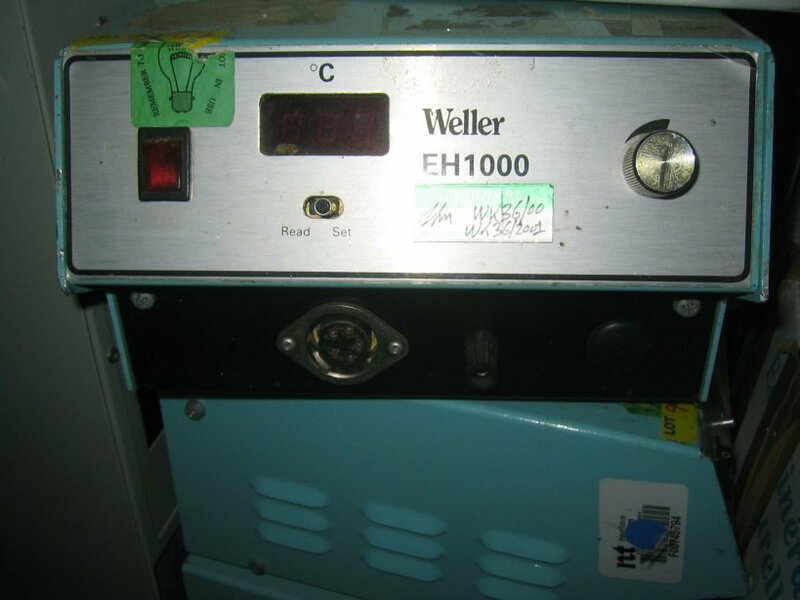 Weller EH1000 hot plate controllers Several of these controllers, no hotplates. See picture. £10 plus post each. Miniature Integrated Power Monitors by JDS Uniphase C-band optical power monitor with integrated 1% tap. Quantity available. See full details on this page. Contact me for details, offers. GPIB-120, National Instruments bus expanders As new Offers invited around £60. GPIB cables, lengths up to 2m. Manufactured by National Instruments, HP, Cinch and others. All with stacking sockets both ends, a few with reverse entry sockets. National Instruments: 0.5/0.6m cables available at £2.50 each, 1/1.1m at £9.00, 2m at £18, all plus post. Offers considered for large quantities. Some brand new and packaged National Instruments cables at slightly higher price. Lower costs available for brands other than N.I and H.P. See picture. Condition: ask for details if required. Typical used price around £4600, will consider any reasonable offer over £100. Hewlett Packard 8768K SP5T MULTI-PORT SWITCH DC-26.5GHZ Very good condition, little used £99 including UK post, overseas at cost. DMC1540 Manufactured by Galil Motion Controls MOTION CONTROLLER 4AXIS 60AND26 PIN STANDALONE Removed from working equipment, but untested since. Offers around £300 plus shipping. Serial Digital Cable (video) ACT929 AVID 0070-00500-01 Rev A, new unused. £15 plus post. I accept NOCHEX payment to colin99@video99.co.uk. Sony HVC2000P and HVC3000P Beta cameras, several of. One camera works brilliantly except the zoom motor, the other has less than perfect colour balance. A picture of just one camera and portable, working, is shown here. 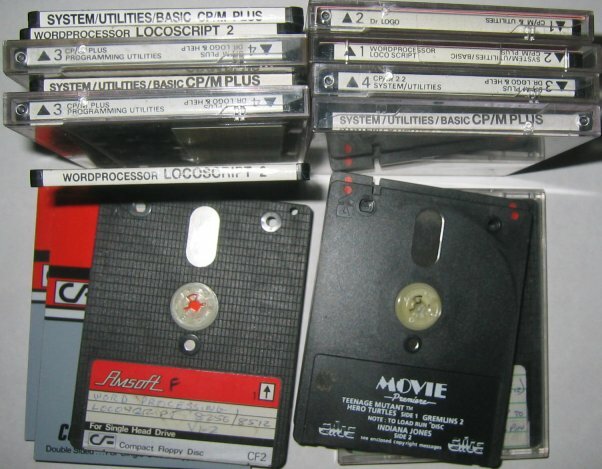 DAT audio tapes, Maxell DM60, 19 of. These are only for audio use, not computer data. New and sealed. Most have stickers on the cellophane showing a prices of $9.99 and $5. Will sell the whole batch of 19 tapes for just £22 plus post. 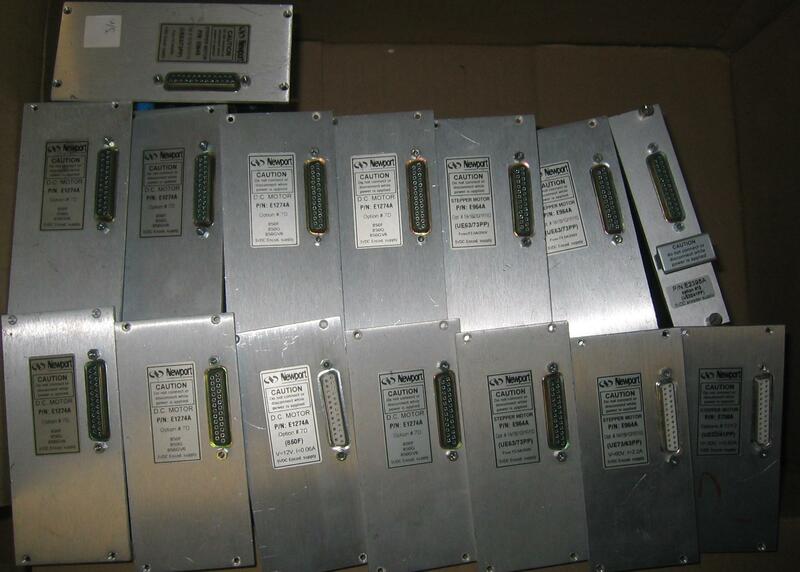 Microwave timer panels, with fluorescent display Brand new Toshiba surplus. ADC QLM34 MK3 stylus Very little used or possibly unused. I just wish I could find this! Books, ex-library, "Home VCR Repair Illustrated, Wilkins & Hubbart, ISBN 0-8306-3711-7" and Troubleshooting & Repairing VCR 2nd edition Gordon McComb, ISBN 0-8306-3777-X" Both circa 1991-1992, have a USA bias but still relevant to UK machines. Sell the pair for £3 plus post. Brand new and boxed video heads for VR2020 and VR2021 Philips V2000 (Video 2000) video recorders. Priced at £45 plus post. These are very rare now. A few other service items for these machines may be available too. Seven colour inks the Canon BJC4000 etc. Suitable for: BJC-2000, BJC-2100-SP, BJC-400, BJC-4000, BJC-4100, BJC-4200,BJC-4204, BJC-4300 Series,BJC-4400,BJC-4550,BJC-4650,BJC-5000,BJC-5100 , Multipass B210C, C20,C30,C50,C70,C80, C3000, C3500, C5000, C5500, C6000, M.Tally 7070, Apple Sylewriter 2400/2500, Sopny MPR-G600 and many compatibles. Part number CCBCI21C (BCI-21C), colour refill for BC-21. These are new, sealed. The five pictured are dated July 2005, there are a further two by "Panda (WWF)" not shown in the picture, which do not have use-by dates printed on them. All seven in one lot, so this is a chance to collect a bargain! £6 the lot including UK post. 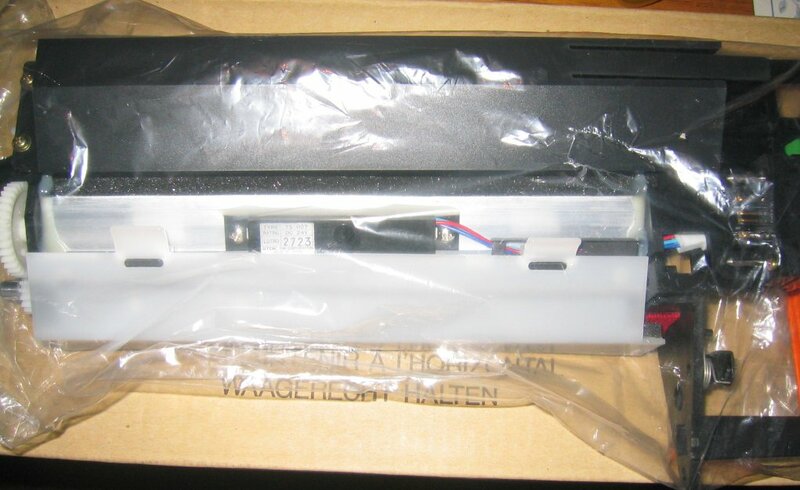 Brother TN-300 Toner cart for Brother fax machine. £8 inc post. Various original Canon inks for a Canon BJC7100. Ask for details, several ink cartridges available. Fit BJC7100 also. Commodore cables Two cables for Commodore Amiga monitors, with the extremely rare 23 pin D-connector female plug at the end of each. One goes to a SCART plug, the other goes to a DIN and two phono, but is longer. Each cable £5 plus £1 UK post. Brand new 16V laptop power supplies Full details here. Price just £4 plus post each, or an offer for the lot of around 32 of. Each one weighs costs £3 to post first class in the UK. EACA EG2000 Color Genie computer Good working order, though the keyboard will work better after a bit more use. This is a very rare machine which is semi-compatible with Tandy TRS-80 Color-1 computer. I'm going to put this on eBay shortly, unless you get in an offer first! Here's a screen shot of it running. Offers in the region of £40-£50. Tandy TRS-80 Model 1 with Level II 16k Basic. No cables, no PSU, so not yet tried it out. Could sell it along with the above EG2000. 16 of CF-2 3" Floppy disks, for Amstrad PCW-8512 etc. 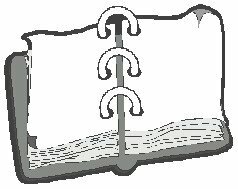 Unless they have been erased (can't tell but unlikely), these have: Locoscript 2, Locoscript 2.29 (for PCW9512), CP/M Plus including programming utilities and Dr.Logo, and lots of other stuff. See this picture of them. I'll sell the whole collection as-is for £10 plus post. ANLCO Ltd Software Key-P A software key dongle which connects to a PC parallel port. Not sure what software it is for. Marked "Supplied by ANLCO Ltd, 55 Seaford Close, Ruislip, Middlesex HA4 7HN, tel 0895 631191"
Canon BJIF-3020, part Q70-0890-410 serial interface board. New and boxed. £10 plus post. Panasonic KXPDM2 Drum I suspect this to be used, but has been carefully repackaged and kept as a good working spare. £10 plus post. TK-4 Toner kit, Kyocera original For models F-1000/F-1000A, F-1200,F-1200S,P2000,P-2002,Q8010,F-1010,F-2010. However this looks to me, not to be toner but a fuser pad and a corona wire assembly. Texas Instruments Microlaser Pro 600 toner cart Has been tested, according to the label on the box. Feels heavy so I'm convinced it is new, but there are traces of toner dust around due to poor storage (upside down). £10 plus post. Citizen Overture Developer unit Part number 7238353 (which doesn't seem to appear on any lists), I think this may be part number CITIZEN-3000001 because it does not look like the developer for a Overture 106, and the 110, 110+ and 112 all take the same developer. Fujitsu D30L-9001-0269 (Y02-5863) printer ribbons Two of, new and boxed. £8 plus post for the pair. Should sell for £16 + Vat each. Mannesmann Tally MT90X toner, black. New and boxed. £12 inc UK post. New cost around £200. Unknown manufactured date. HP 92295A Toner cart for HP Laserjet II, IID, III, IIID printers. I have around 4 of these, boxed. £5 each plus post. HP 33439Q Postscript font cartridge for HP Laserjet III and others. £10 plus post. Difficult to find now. Sharp FO-15CR Thermal transfer roll for Sharp fax machine. Normal cost about £20 each plus post, here at two for £10 inc post. HP JetDirect ETHERNET 10 BASE T RJ45 part number J2340-60001. This is one of two HP printer network interfaces I have for sale. They have not been tested because I no longer have a suitable printer, so they are sold as-is. However I have no reason to believe they anything other than proper working order. Some storage scratches and marks but nothing which will cause any problems. On sale elsewhere for around £200. Priced at £20 including UK post. EMULEX NETJET LN09/HPLJIV NIC. As above, untested but should be OK. Priced at £20 including UK post. Resistors, mostly low wattage Bandoliered in single values, or boxed up. 12V charger for Samsung SGH-600 Mobile Phone Brand new and boxed. Ordered in error. £10. Mains adaptors, many 12V but other voltages available. Various current capabilities. Dozens available. Some new, some used. 240V UK mains input. THINGS I NEED, CAN YOU HELP? Main (long, flat) drive belt for N1700 / N1502. Philips N1700 video recorder. Philips N1502 video recorder, heads or spares for same. N1500 heads also. Will pay, tell me what you have. 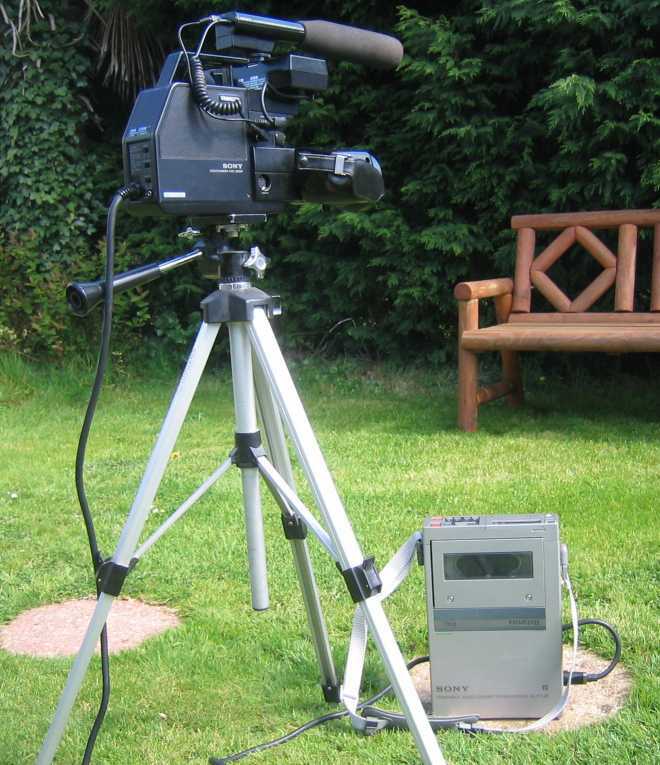 JVC DR-MH200 or DR-MH300 DVD recorders, working or with PSU faults, wanted. Sanyo Beta (Betamax) video recorders, VTC5000/VTC5150 and all front loading machines. Sony front loading models (except SL-C6) too. Non-runners, with faults etc. Will pay postage and in some cases more.. I accept NOCHEX payment to colin99@video99.co.uk. and so can pay by this means too if you have anything of interest to me. If there's something in here that is of interest to you, email me and we will see if we can come to an arrangement! If you want to ask about anything here, that's OK too, I'll happily go and rummage in the loft to see if I have what you need. To my Beta (Betamax) Video page, Pictures of Plymouth, my Hillman Avenger page, or my BSB/Squarial page. Also, see my HiFi page which has information on video and audio equipment.